Comparing your traits with those of friends and family is especially entertaining. We think to ourselves, hmm, that’s why my co-worker Jackie and I get along so well, or that’s why my Uncle Bob drives me nuts. It provides a little framework and puts words to things we knew somewhat intuitively, but never quite put our finger on. 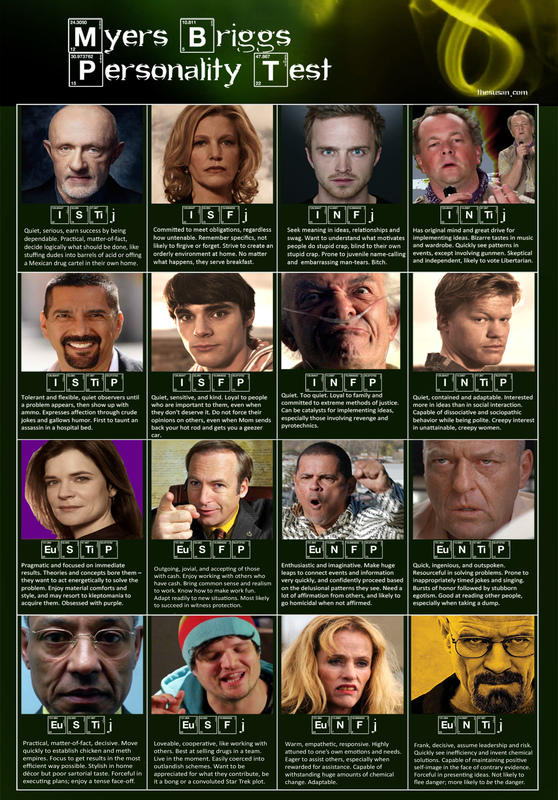 With the amount of time we spend streaming video and with our noses in pop-fiction books, it’s natural for us to also wonder how our types compare with those of fictional characters. Whether you’re a Harry Potter fan-girl or guy, or a die-hard Star Wars nerd, you probably have identified more with certain characters. 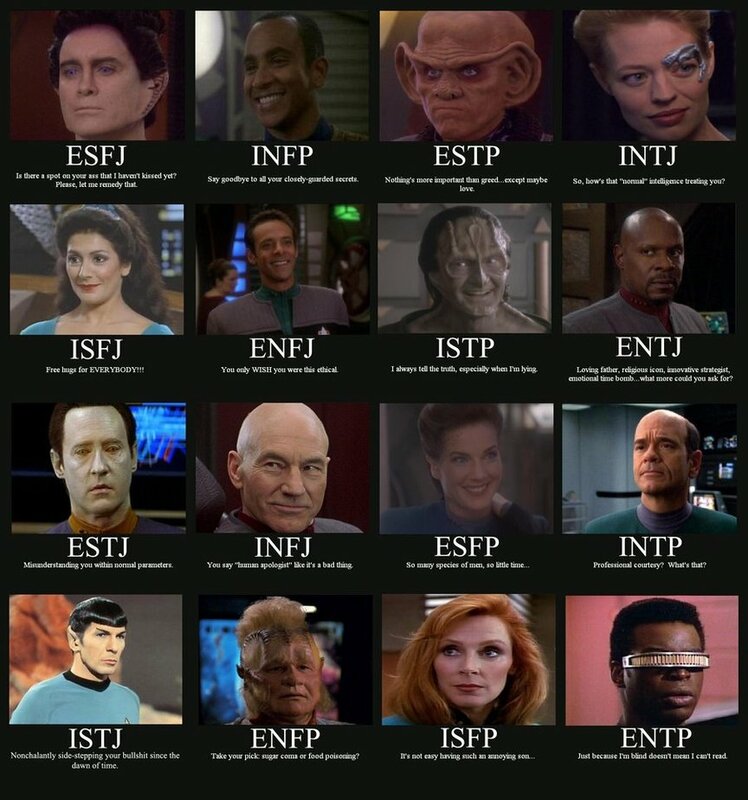 Well, we’ve scoured the web to bring you a giant list of fictional character MBTI® charts for your amusement. 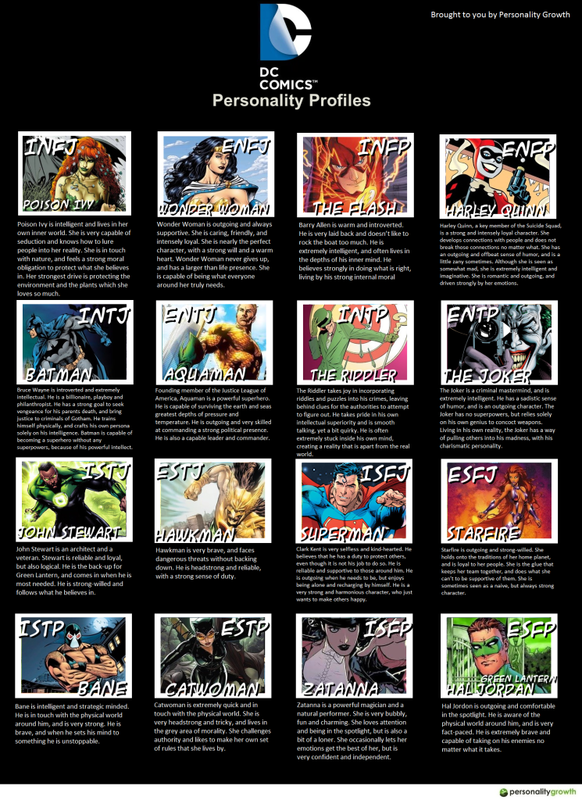 And of course, if you’re looking to do a Myers-Briggs Workshop for your corporate group, or arrange an Interactive MBTI Presentation, please get in touch! 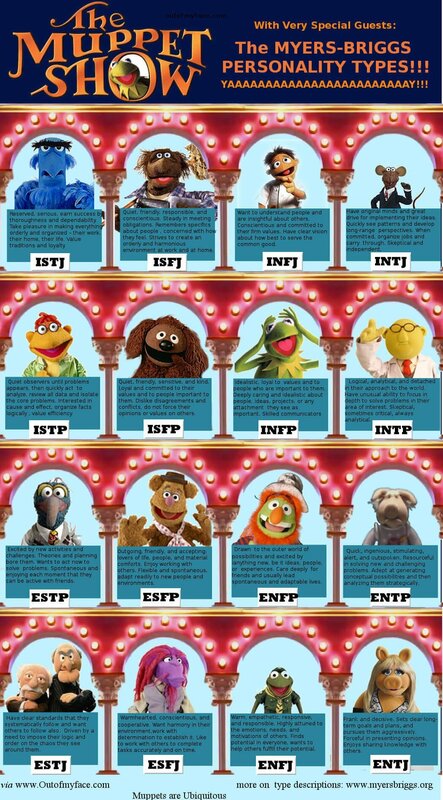 We hope you enjoyed discovering the MBTI types, and we want to thank all the fans who put together these great infographics!